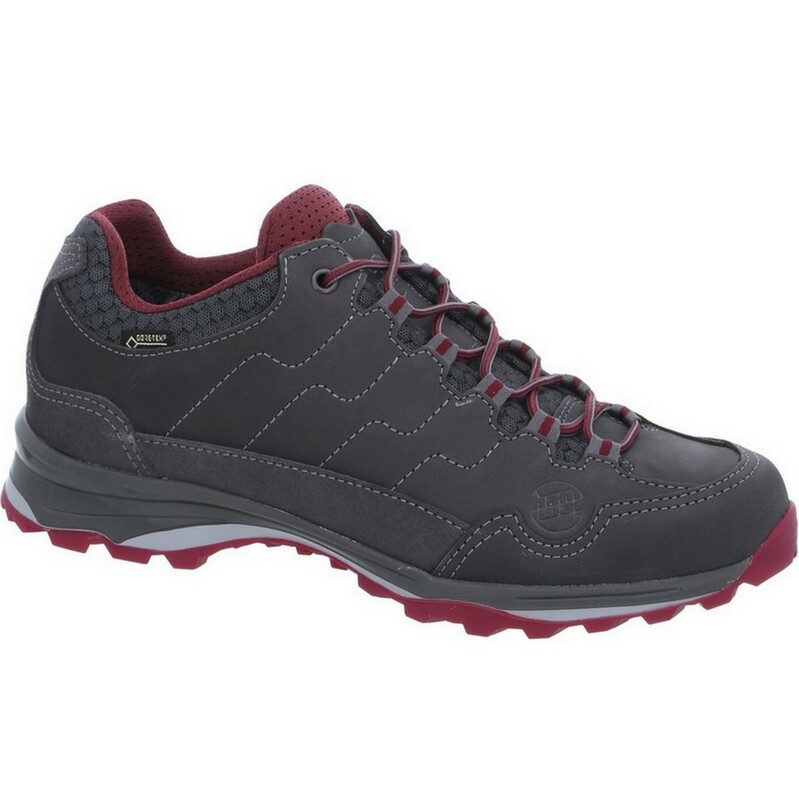 The Hanwag Robin Light Lady GTX is a lightweight shoe, with a comfortable fit and flex with a sturdy design, for trails and paths walking, travel and everyday use. 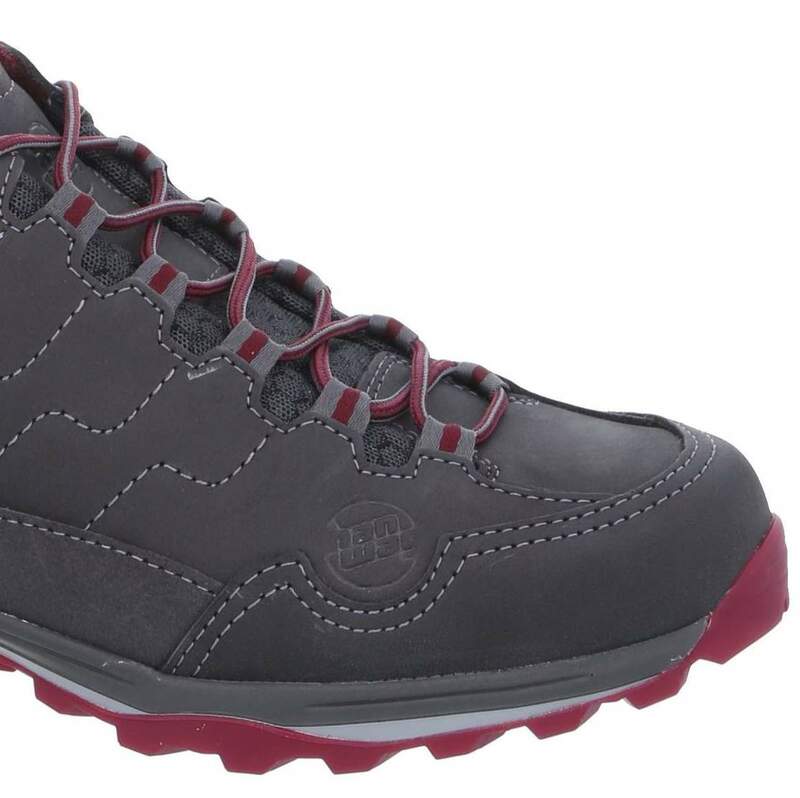 Hanwag has been manufacturing high-quality mountaineering and trekking footwear since 1921. Construction : Cemented, there is no stitching connecting the lining to the insole. Hanwag 3D Prismbase Technology, the newly developed structure of the rubber base is designed like prism, enabling up to 32% weight reduction. Gore-Tex Lining : composed of several layers, including a waterproof and breathable membrane. They keep your feet reliably dry in rain, snow and ice. 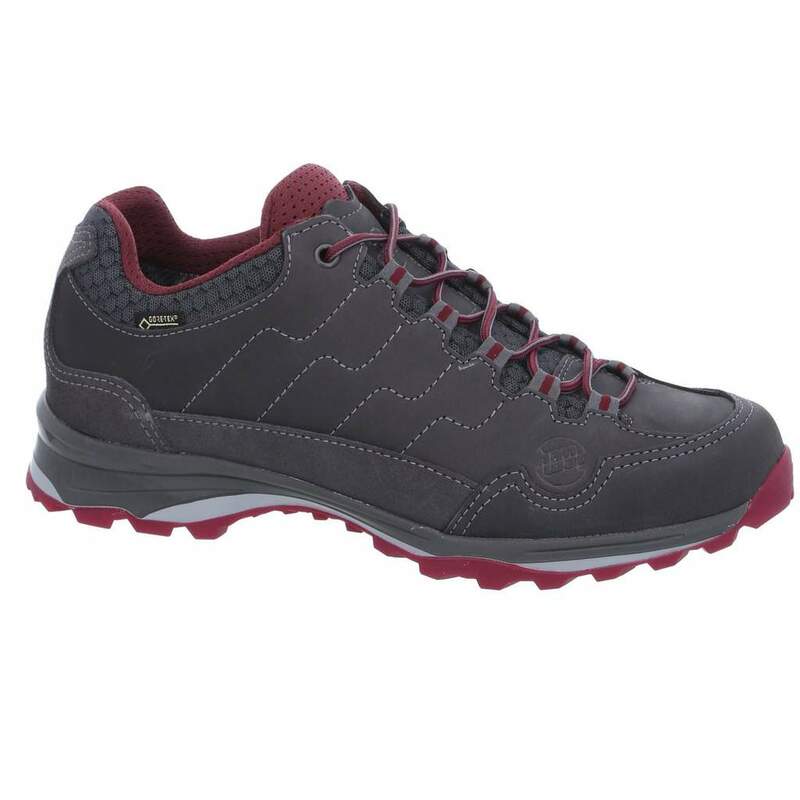 GORE-TEX® is very breathable and allows perspiration to escape from inside your shoes. To avoid confusion, the GORE-TEX® membrane should not be confused with the upper fabric. The membrane itself is positioned between the upper fabric and the inner lining. The GORE-TEX® membrane itself is laminated to the lining, a highly durable, synthetic, fast-drying fabric.